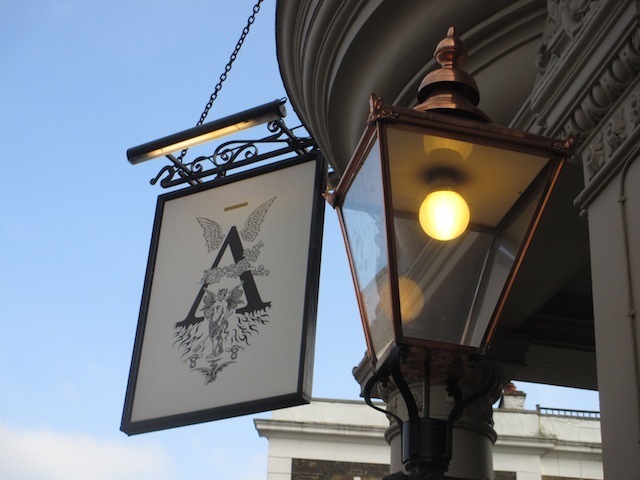 This pub has been voted by our readers as one of the best in Angel. See the full list of winners here. Big, brash, noisy pub, this one — at least in the evenings. 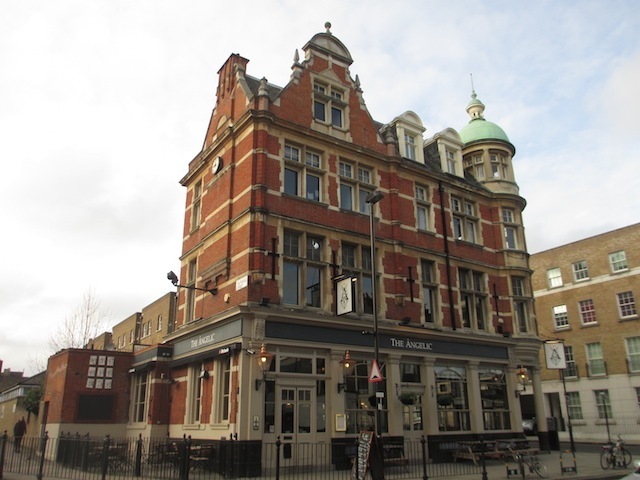 The main bar is certainly one of the better options close to Angel tube station, if nothing too remarkable. But head upstairs and you'll find yourself in a very different environment. 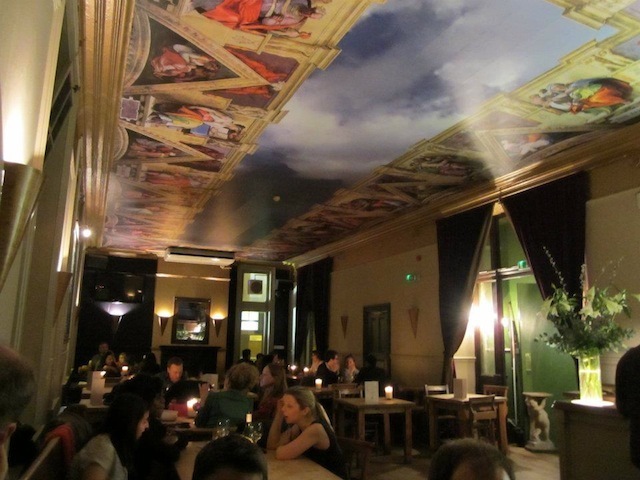 This cosy, comfortable drinking space comes with plenty of candle-lit tables and a ceiling that looks like it was nabbed from a Lombardy church. The basement loos are also a bit barmy, with an unexpected water feature and live Radio 4 while you pee. Food options are pricy (so, too, the drinks), but well presented, with plenty of options for both veggies and meaties. The upstairs bar: one of our Rubens is missing.